Planned Parenthood hasn’t been able to stop Congress from investigating whether it illegally sold aborted babies’ body parts, but it isn’t giving up. In the latest attempt, allies of the abortion business sent a letter to House Speaker Paul Ryan demanding that he stop the investigation from continuing, The Hill reports. Leading the effort was the American Civil Liberties Union, a frequent partner of Planned Parenthood; but a number of other groups also signed the letter, including “the Sierra Club; civil rights groups such as the NAACP and Human Rights Campaign; unions like the SEIU, AFSCME and Communication Workers of America; and watchdog groups such as CREW and Public Citizen, among others,” according to the report. Congress formed the Select Panel on Infant Lives last year to investigate abortion industry practices after a series of undercover videos showed top Planned Parenthood officials discussing the trafficking of aborted babies’ body parts. In the past few months, the panel has uncovered evidence that the abortion business deceived women on its consent forms and illegally profited from the sale of aborted babies’ body parts. More recently, the panel said it found evidence that Planned Parenthood may have broken HIPAA regulations by sharing patients’ private medical records with outsiders. The panel sent the evidence to the U.S. Department of Health and Human Services and asked it to investigate. In June, the panel also sent evidence to the New Mexico Attorney General indicating that the University of New Mexico and the Southwestern Women’s Options abortion clinic may have broken a state law that prohibits the gifting of aborted babies’ body parts. The letters demanding that Speaker Paul Ryan dismantle the panel are just abortion advocates’ latest attempt to block the investigation. The abortion industry also has influences with Congressional Democrats who are trying to stop the investigation. U.S. Rep. Jan Schakowsky, D-Illinois, who was appointed to the panel, has numerous ties to abortion advocates that she did not disclose as conflicts of interest. Her husband, for example, is the partner at a political firm whose top clients include Planned Parenthood, NARAL and some of the other major abortion groups in the nation, according to The Federalist. Other Democrats on the panel also received campaign donations from the abortion chain. 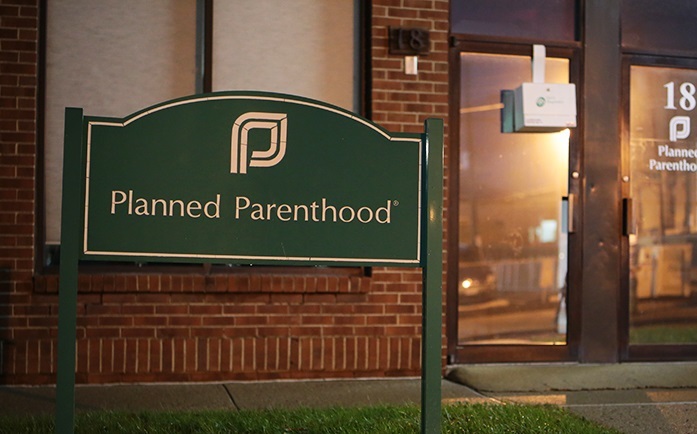 The Select Investigative Panel on Infant Lives formed after a series of undercover videos revealed Planned Parenthood selling aborted babies’ body parts, potentially in violation of the law. Since then, the panel has uncovered a growing list of evidence that abortion facilities have violated federal laws.